Are you in the market for an investment property to rent out? Do you have a property, but are unsure of its rental revenue potential? Sunburst offers the knowledge and experience you need for investment property acquisition. We can assist with identifying the right market, evaluating opportunities, consult on projections for return on your investment and implement a plan to help obtain your real estate investment goals. Whether you want a vacation home for personal use with the opportunity to recover some expenses by offering it as vacation rental, or are looking to purchase property that can be rented year round, Sunburst can effectively execute your real estate transaction. 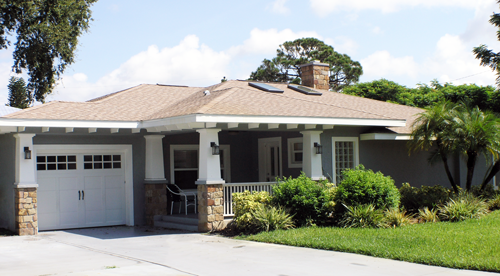 When it comes time to sell your rental property, Sunburst has that covered too. Click here to view current investment properties for sale. We offer everything that comes with hiring a licensed Realtor, we develop a sound real estate strategy and aggressively negotiate on your behalf. Sunburst will work with you to locate well-situated, cost-effective properties -- whether you’re a first-time buyer, live out of state, need our property management services, or plan to manage your own property. Our staff is unique in our knowledge of the Gulf Coast market and that our staff includes general contractors, as well as Realtors who will work with you to uncover properties that will be revenue producers for your portfolio. If you are looking to invest in rental properties, then we can help. Our Realtors and general contractors know the Gulf Coast real estate market and can work with you to find rental properties that can provide you with the income and the tax benefits of owning a rental property. Contact us to find out how we can help you find investment properties that will make you money.